We all wish that we could have more money in our pockets, but there are essentials that we have to pay for such as insurance and more specifically if you are a homeowner, homeowners insurance. There are ways however that you can lower your insurance premium. One way is to shop around to see if there is another insurance company that offers a better rate: another is to buy several policies from the same insurance company (i.e. insure your car and home with the same company) Many insurance companies offer reduced rates if you have been insured through them for several year. 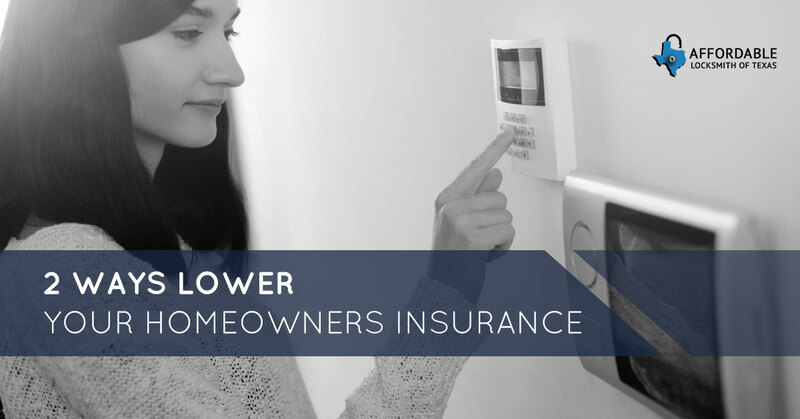 Though these are great ways to have a reduced rate, there are home improvement projects that can also lower your insurance rates that will help to protect your Spring home from the unexpected. Making your home disaster-resistant is a great way to lower your rates: You are showing the insurance company that you are making investments in your home that may lessen what they as the insurance company may have to pay in the case of a natural disaster that destroys your home. The type of modifications or improvements that you should make vary from home to home, so it is best to contact a disaster professional who can show you specifically what your home is prone to. However, there are general improvements that every homeowner can make. Those who live in older homes can invest in modernizing their furnaces and electrical systems to prevent fires, as well as their plumbing and indoor/outdoor drainage systems to prevent a flood. The next step, is to contact your local locksmith in Spring and ask them about what services and products may help you increase your home’s security. They will not only know what the latest and best security measures are, but they know what burglars—especially those in Spring—look for when they break into homes. They can also give you a quote as to how much increasing your security may cost you and give you options that will fit your budget. Talking to your local police force can also be a great means for knowing about other practical and simple ways to up your home’s security. Be sure to read next week’s blog about the options that your local locksmith in Spring may suggest as means to keep your home and family safe, as well as add a little extra money to your paycheck each month. Want to up your security or simply need new locks for your home or business. Contact Affordable Locksmith of Texas! Our locksmiths are licensed and have the professional tools to help you have the security that you need to keep your Spring home or business safe. Also, we offer 10 percent off new clients’ first appointments. Speak to a locksmith today! Locked out of your home, business, or car? No problem! Call us and we will respond within 15 minutes!